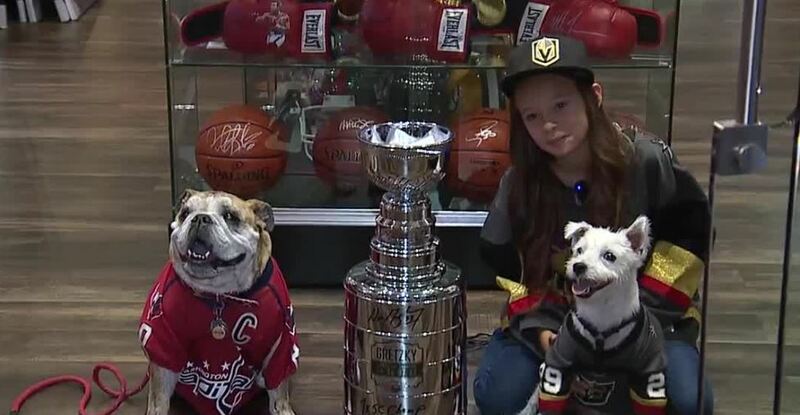 Bark-Andre Furry, named after Vegas Golden Knights goalie Marc-Andre Fleury, and Ovie the Bulldog, named after the Washington Capitals' Alex Ovechkin, took a stroll through the Forum Shops at Caesars Palace and even shared a bowl of spaghetti like in "Lady and the Tramp." Two of the biggest canine fans in hockey met Tuesday in Las Vegas. The dogs are in Las Vegas for the NHL Awards this week.